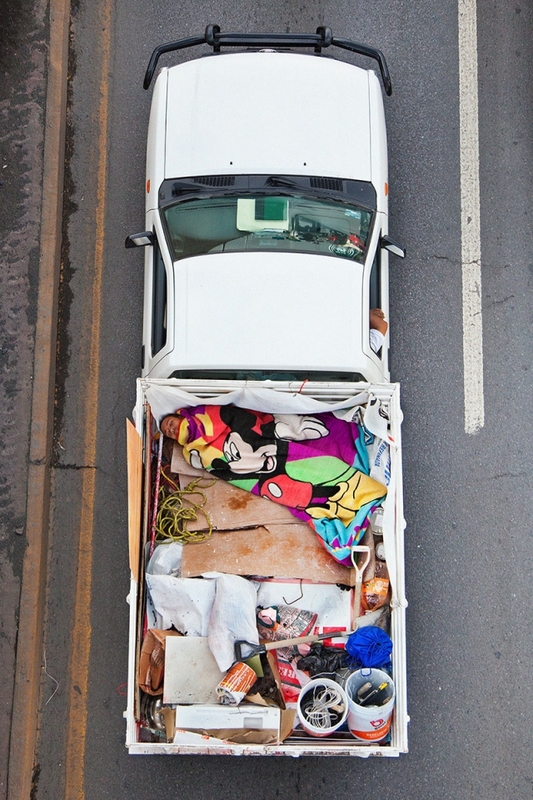 In 2011, Alejandro Cartagena stood atop a bridge running across the highway between Nuevo Laredo and Texas—a lucrative drug corridor between Mexico and the US. 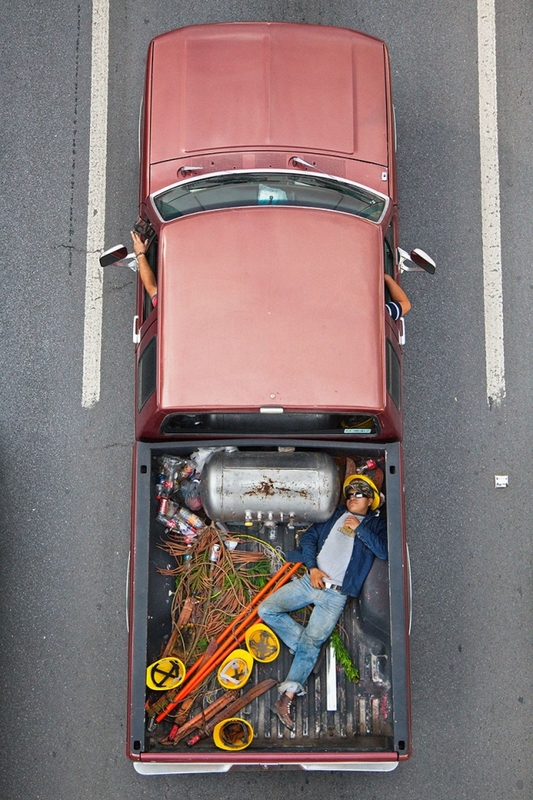 From that elevated vantage point, he photographed the many trucks that drove by on their way south to Monterrey, carrying labourers to worksites in the newly built suburbs. These vignettes, capturing a scene rarely visible, manage to straddle public and private space. 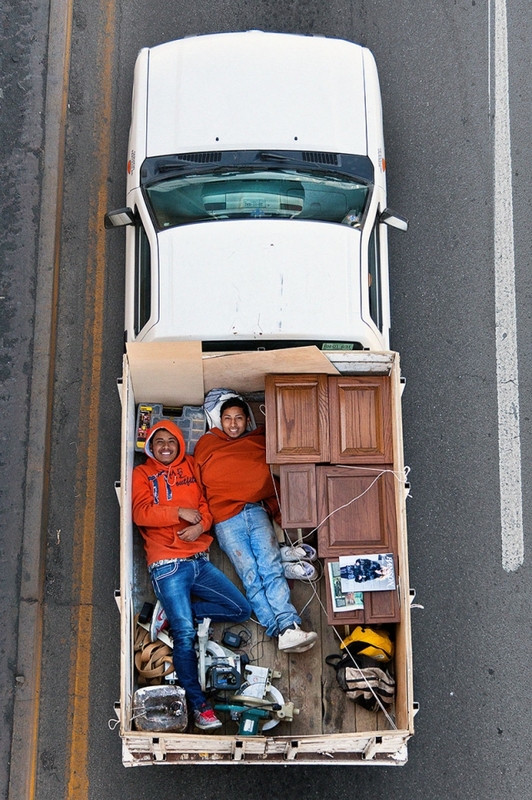 The Monterrey suburbs are a site of growing inequality between the rich and poor, and a dangerous battleground for the drug wars fuelled by the uneven distribution of wealth. 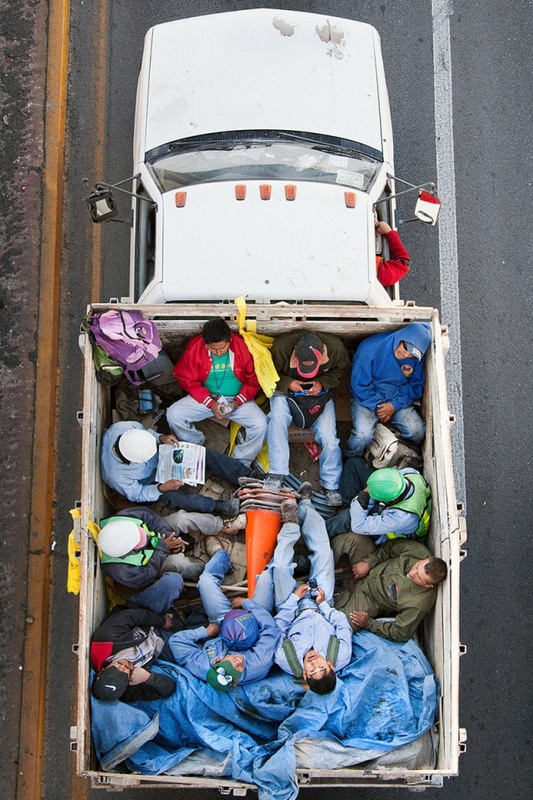 The temptation for people living in poverty to engage in the drug trade is great, but the workers riding in the backs of these trucks would rather risk their safety and the chance of traffic violations for the opportunity to make an honest living in a society faced with increasing dishonesty. 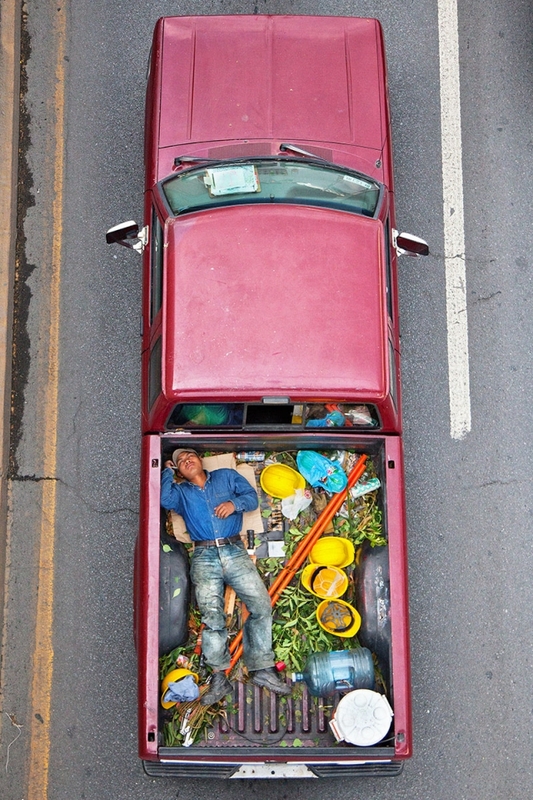 The pickup truck beds in Cartagena’s photographs appear highly composed, mimicking historically painterly tableaux such as those of medieval altarpieces. 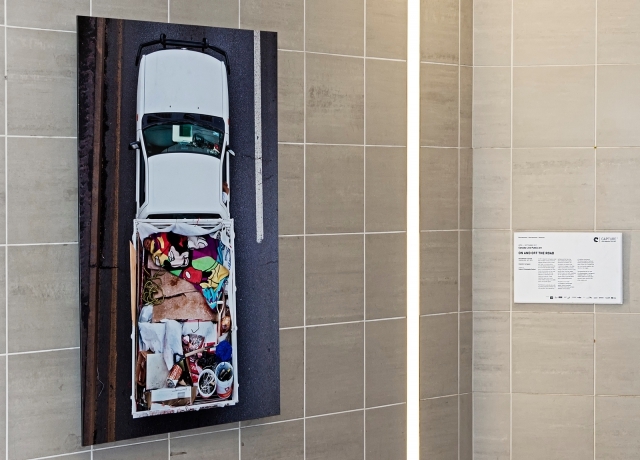 The shallow depth of field and framing provided by the trucks’ walls further act to counter the fast-moving and snapshot-like nature of his images. 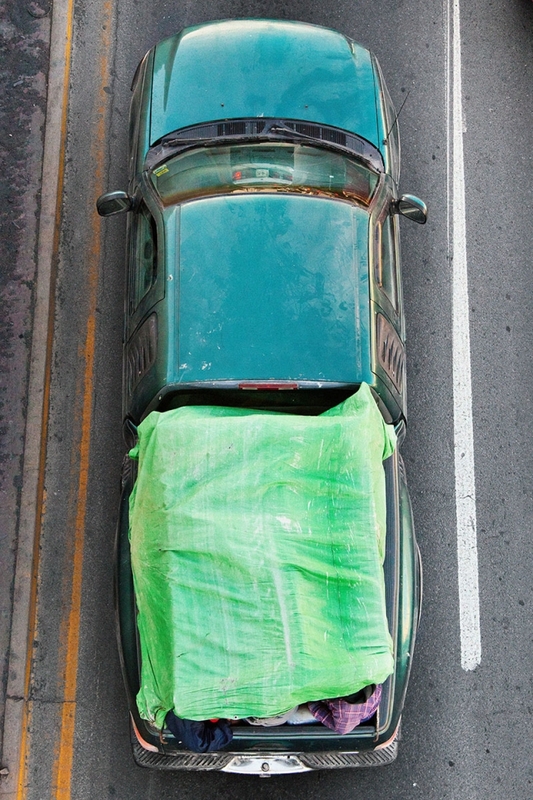 Conceptualized as one layer of a lifelong project, Cartagena’s Carpoolers (2011–12) series makes visible one more space between major points on the urban power grid. 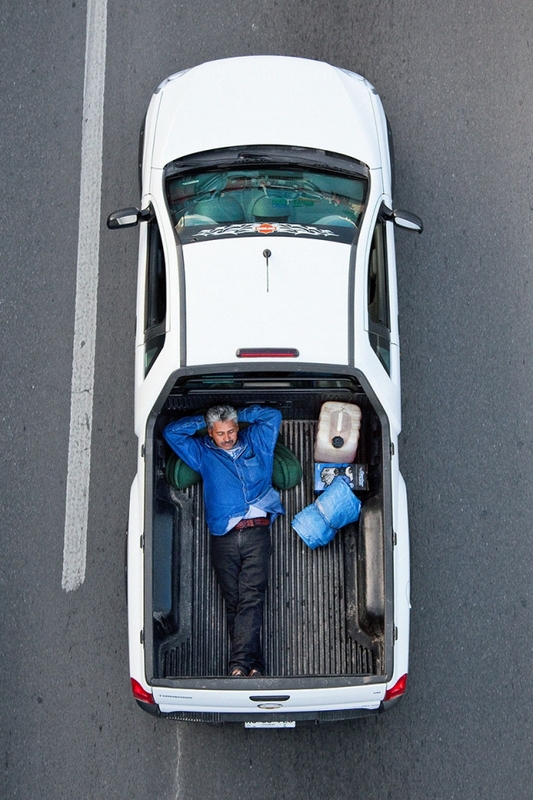 The Waterfront Station is curated by Capture Photography Festival.